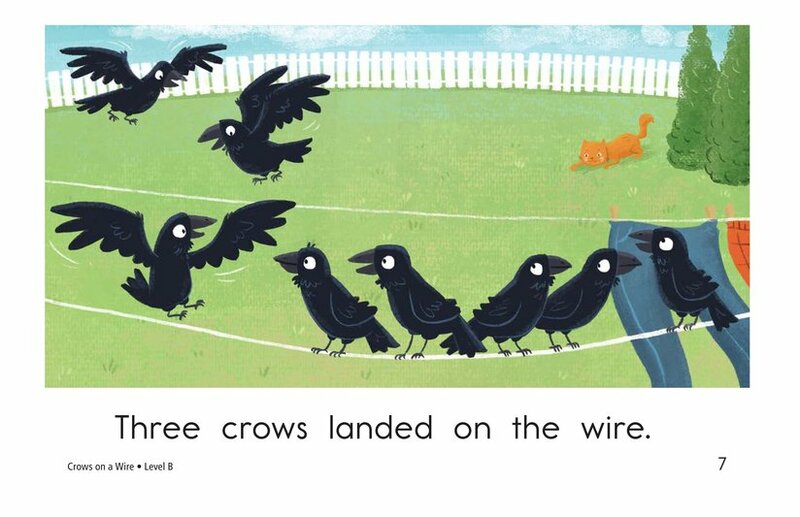 Some crows have found a nice wire to land on, but a neighborhood cat is getting closer and closer. 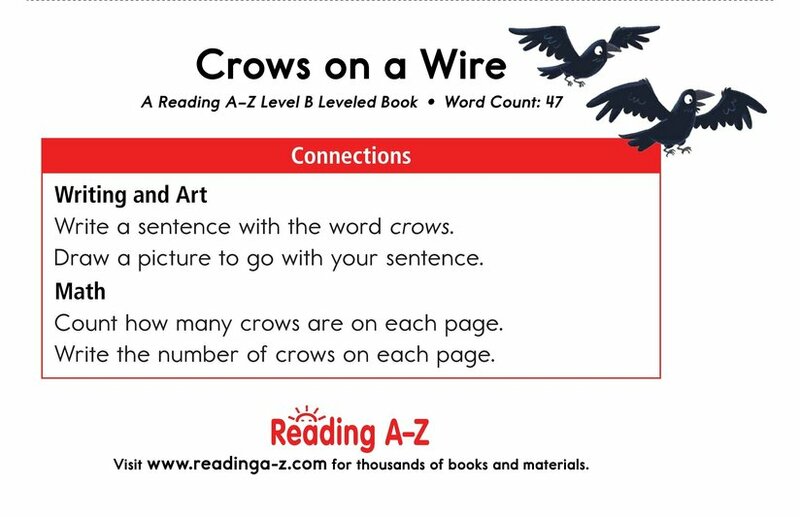 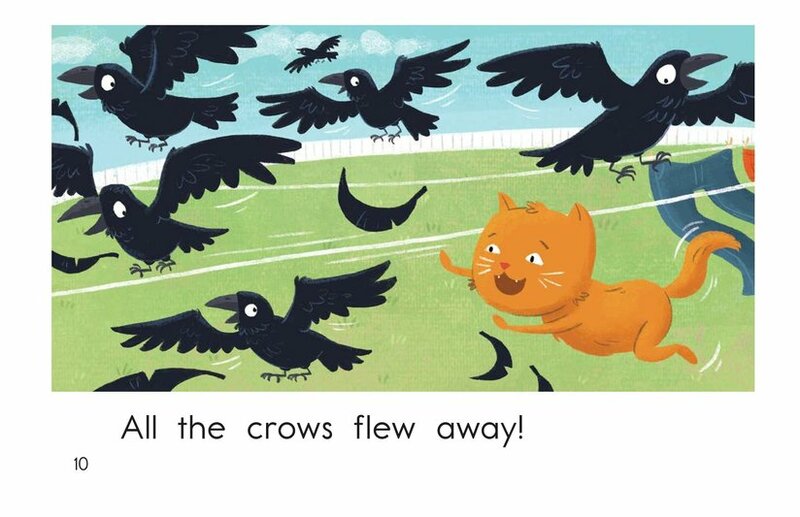 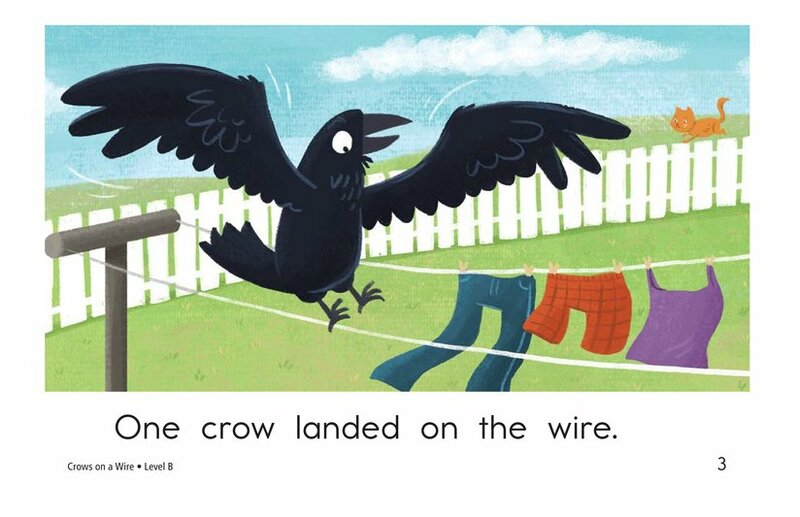 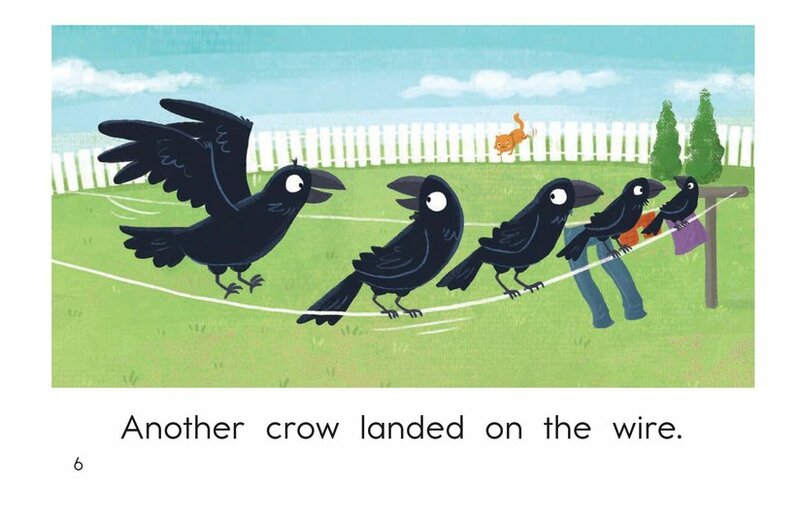 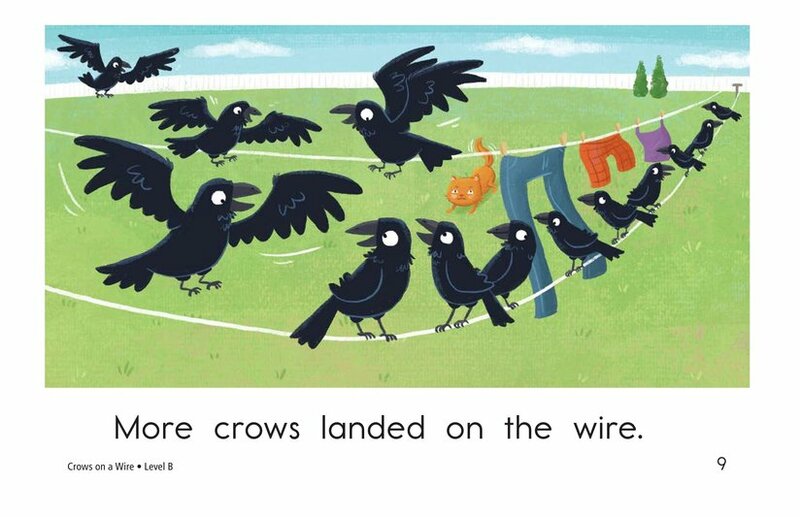 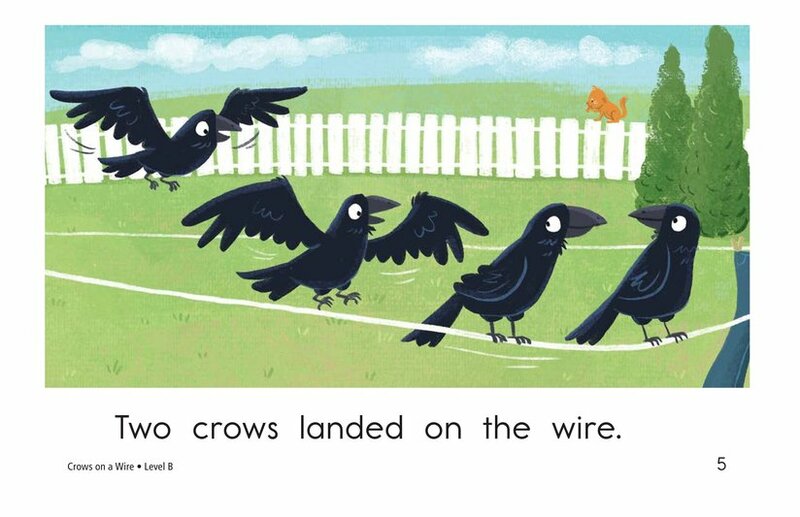 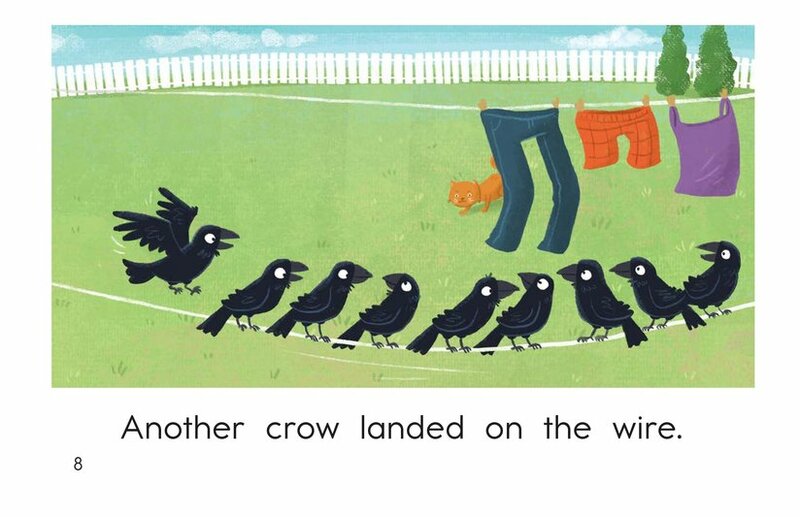 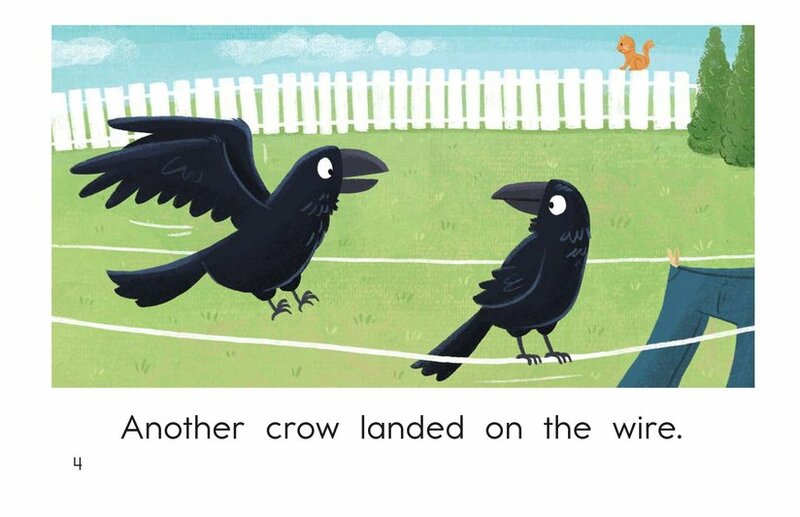 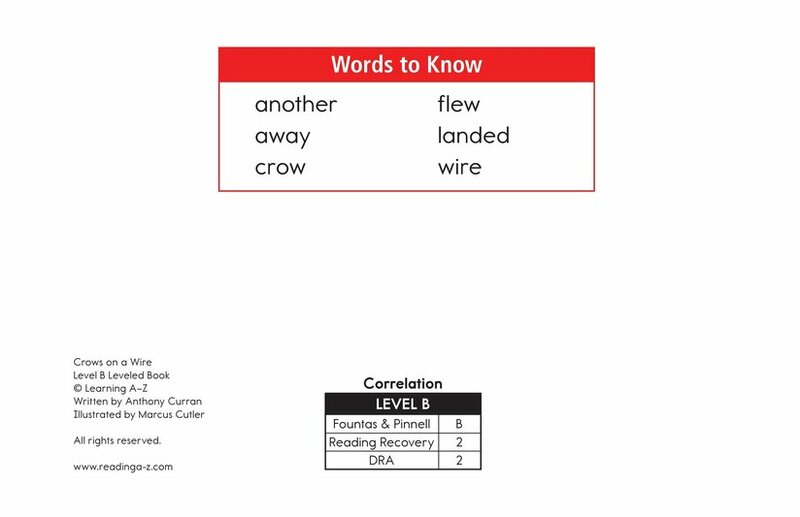 In the book Crows on a Wire, students will be engaged by the illustrations as they try to determine what will happen as more and more crows land on the wire. 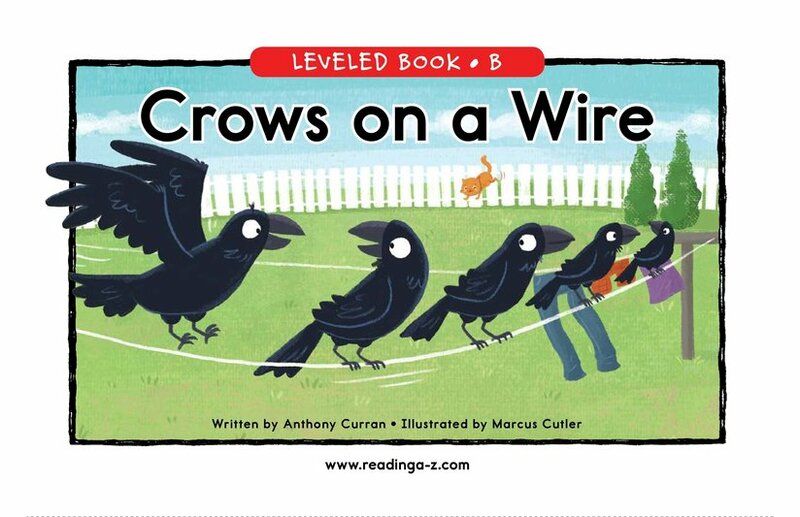 The story uses detailed, colorful illustrations, high-frequency words, and repetitive sentence patterns to support early-emergent readers. 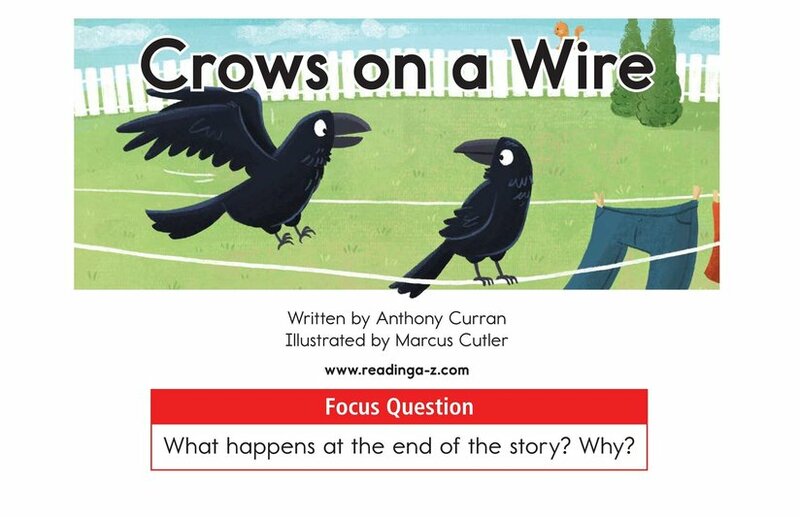 The book can be also used to teach students how to identify cause-and-effect relationships in a story as well as to locate and use verbs.